I’ve been guilty of pushing 100 percent all the time. Lately I’ve put more of an effort into making each day better. Here are the 6 things I do now to chill out & stay sane. I used to think making non-work to-do lists was a form of procrastination. Earlier this year, I wrote in my financial goals post about how my husband got a Panda Planner Pro and then I gifted one to my sister. I started using one two months ago and I.LOVE.IT. 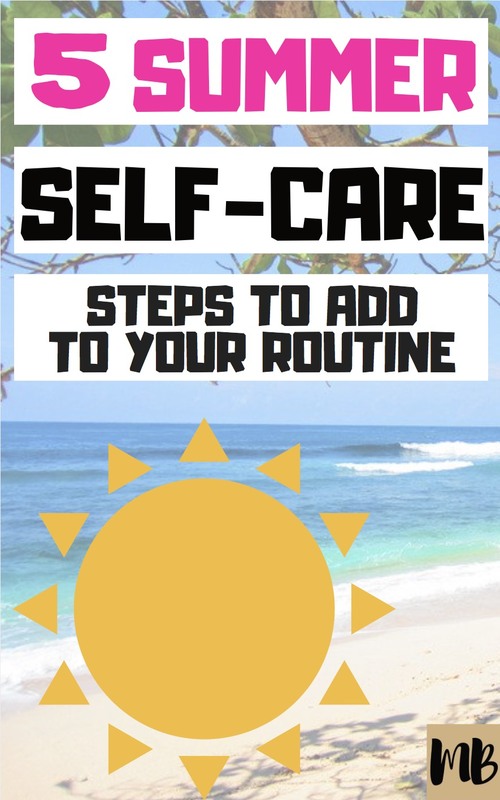 It minimizes overwhelm by first having you list out your priorities for the day and then second having you list out the actual tasks that need to be done by the end of the day. When making a list before, I used to list out a bunch of tasks that I wanted to get done but I didn’t actually have to get done that day. Or, I would confuse priorities and tasks. A task can be as simple as sending an email but I would cloud it with a bunch of other stuff I wanted to do. The result was that I would have a mountain of stuff which would leave me feeling stressed out. I never “won” at the end of the day by checking off all the boxes. The planner makes it super clear what I need to do. I’ve gotten better at ruthlessly prioritizing and setting realistic expectations of my day now that I use the planner. I also start my day off with gratitude which puts me in a good mood. Each day the planner asks you to list three things you are grateful for, a daily affirmation and a daily habit. (Admittedly, I like snooping in my husband’s planner to see how often he puts me down as one of the things he’s grateful for. Guilty). If you’re going to buy the Panda Planner Pro , make sure you use the code PANDAFAM to get 10% off. Classical music used to put me to sleep..but there is a reason people listen to it. Sometimes you just need to chill out and classical music can get you there. I’ve also found I’m better able to concentrate on my work when I listen to music without words. I made it a goal this month to listen to more classical music. I listen when I’m at work, when I’m blogging, and when I’m home making dinner. If you want to try it out, search YouTube for some Bach or Mozart study music. Some of these are mashed up with rain sounds and other ambient noise to make it extra chill. When I’m home, I actually listen to classical music via the Amazon Echo since I can easily turn the music on or off with my voice. The speaker on the echo is pretty good too. I used to feel that I could never leave my desk for lunch. I had too much work to do, I had meetings I had to attend, etc. Leaving my desk for lunch is now one of the most important parts of my day. It makes me more focused and much happier for the rest of the day. In my old job, I scheduled a meeting with myself every day from Noon-1PM so that others were less likely to see the spot open on my calendar and grab it. I have a new job now where my schedule is not as jam-packed and I no longer have to do that. Even if I bring my lunch, I still take it somewhere else to eat it. I get bonus happiness points when I eat with someone else and we chat about non-work things. I had to *let myself* leave my desk for lunch in the beginning and I’m much happier for it. I’ve gone through long periods of time where I don’t work out at all. It honestly just “didn’t fit” in my schedule. I talked to my husband (who works out every day) and he said that he doesn’t have time for it either but he makes it a priority. This means he chooses to workout over other things he has to do in his day. That is super hard for me. Beyond my day job, I live for my side hustles and any time I spend working out in the evening is one less hour I spend growing this blog. Truthfully though, sweating and getting a good work out in gives me more of a happiness boost than this blog (although I absolutely LOVE blogging so I’m surprised by that). This week, I started doing a new lower body workout program that I absolutely love. It only takes 30 minutes and consists of 5 exercises. I like workouts that 1) are over quickly but 2) give me a good burn for my time. I like to “feel like I worked out” if that makes sense. If you want to check out the program I’m doing, sign up for my email list with this form and you’ll get access to the exact workout that I’m doing. Success! Now check your email to confirm your subscription and get the workout. Alas, I do yoga now. I held off for a long time because as I mentioned in point 4, I really like workouts where I can “feel the burn” and feel like I’m getting a good return on my time. I realize now that the benefit of yoga is not the burn, it’s the relaxation – and yoga is super good at getting you to chill the eff out. I swear my heart rate has never been as low as when I’m doing restorative yoga. I started doing restorative yoga (it’s the slow-moving yoga not the pretzel or sweaty yoga) a few weeks ago and I.LOVE.IT. I usually do a Friday early-evening class so I can unwind from my week and still have the evening to do stuff. I actually used ClassPass to sign up for yoga classes because it was the cheapest option I found. I have the flexibility to sign up for classes at many studios and in many cities, which is good if I’m traveling. I used another blogger’s link to sign up for ClassPass so I could get the first month of 5 classes for $10. You can’t beat $2 per class. (And trust me I tried. I looked for a better offer by googling excessively and nothing I found beats the $40 off your first month if someone refers you). Here is my referral link if you also want to try 5 classes for $10. I take the bus in the morning and it can get really crowded. Especially in the summer when it’s hot and everyone is on top of one another. I found that putting on my headphones and blocking out the world with a podcast is a great way to start my morning and survive my commute. **Farnoosh’s podcast is the one I listen to most mornings because it’s inspirational and chill. I don’t feel like I have to absorb a bunch of information and can just relax. I admittedly have Beats Wireless Headphones which make a major difference in my happiness while I’m listening to a podcast. In-ear headphones hurt my ears and are annoying. I switched over to Beats a few months ago and yeah, it makes a difference. I don’t mind paying a premium for comfort especially if I can directly correlate it to an increase in happiness or pleasure. So there is my list of the 6 little things I’m doing to increase my happiness every day. What do you do to increase your happiness every day? Two items on your list are really important to me for staying relaxed. I agree it’s critical to take time for fitness. I walk an hour a day. I usually try to do it right after breakfast and before I go to work. This involves making sure I get up early enough to actually make it out the door to work on time. It’s tough sometimes, but it sets a good tone for the day. Also, like your yoga routine, I practice mindful meditation. It’s hard finding time in general for these sorts of activities, but they add so much benefit to life in the long term. I often find during meditation that I am thinking about my own blog, and what I could be doing to improve it. While meditation does nothing in the immediate to help out my blog or help me produce more at work, without meditation, all the other activities would suffer in quality as would my quality of life in general. Thanks for the reminder that we all need to take the time to chill out on a regular basis in our own favorite ways. I strongly recommend meditation, if you’ve never tried it. 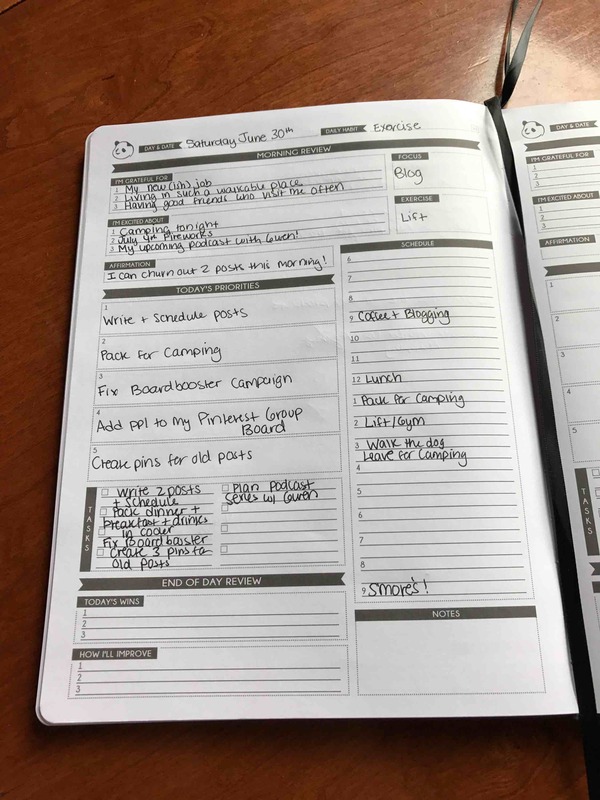 I really like the layout to the Panda Planner and just ordered one via your link. I feel that I have tried almost every planner on the market and none of them have a design that I really love. I also need to do #3. I don’t do that enough and it is something that I should make a priority.